Nikon D3200 Camera & Accessory Bundle for $569.99 today only! 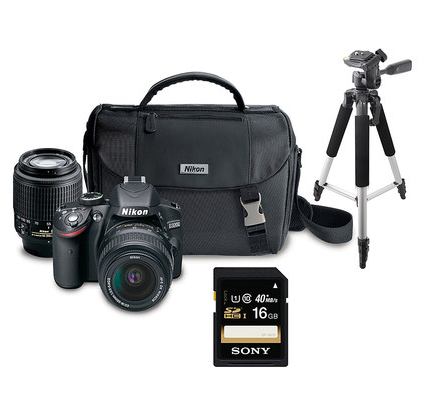 Today only, get this Nikon D3200 Camera & Accessory Bundle for $569.99 on Zulily. This beats Amazon’s current price by $30. I love that it comes with 2 lenses already, one for zooming and one fixed lens. I also love that it comes with a tripod. I need to get one of these to shoot recipe posts!